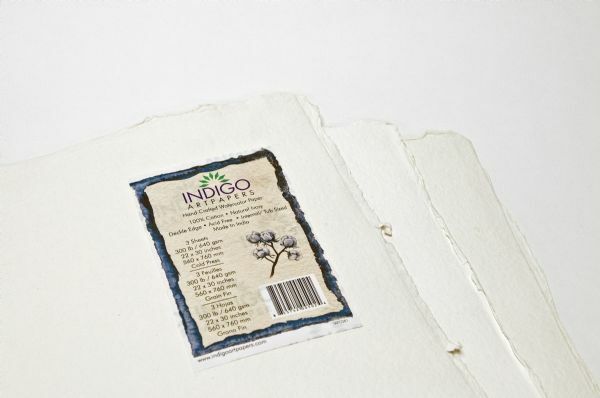 Indigo Artpapers cotton paper is produced using fine quality cotton rags giving exceptional strength and durability. * The paper is produced using a traditional handmade technique to give a sturdy strong sheet enabling the artist to produce a great piece of art. The quantity is 3 sheets. The size is 22" x 30". The weight is 640 g.
30" x 22" x 0.45"